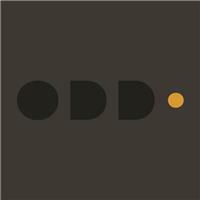 Odddot Ltd - Bedrooms, Kitchens based in Cwmbran, Gwent. We think differently, we see things differently and we cherish these facts and how they influence our work and creativity. Mass-production is a dirty word to us. Every item is made with love, integrity and thought. We are distinctive, special and our originality is mirrored in the natural quirks of the materials we work with. We enjoy letting these peculiarities shine. With everything we do, we aim to make the ordinary, extraordinary, and we do this by analysing the minutiae, the commonplace that is so easily overlooked. We appreciate the small details and the subtleties so often unnoticed in design and in life, and we aim to highlight these through our work. By design, our work is easy to understand, appreciate and live with. Our aim is to never isolate or appear exclusive but instead to share our design-vision with as many like-minded and passionate people as possible. We welcome anyone who is interested into the Odddot world. Our ideas and inspirations are quick moving and ever changing, and we are fearless and relentless in our search for the new, avant-garde or just a different way of looking at ‘the everyday’. We create contemporary furniture and lighting for those that appreciate the unusual, the uncommon and the distinctive. Our pieces are made by hand and made with love.